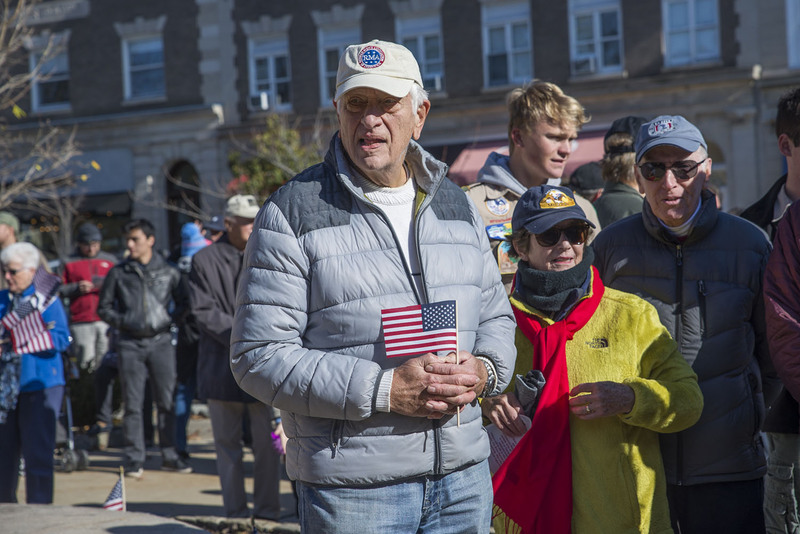 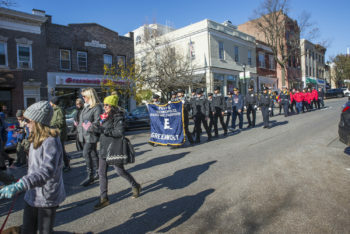 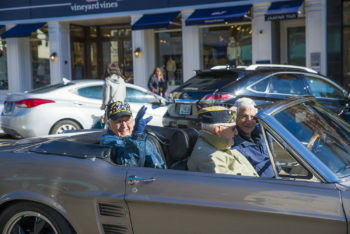 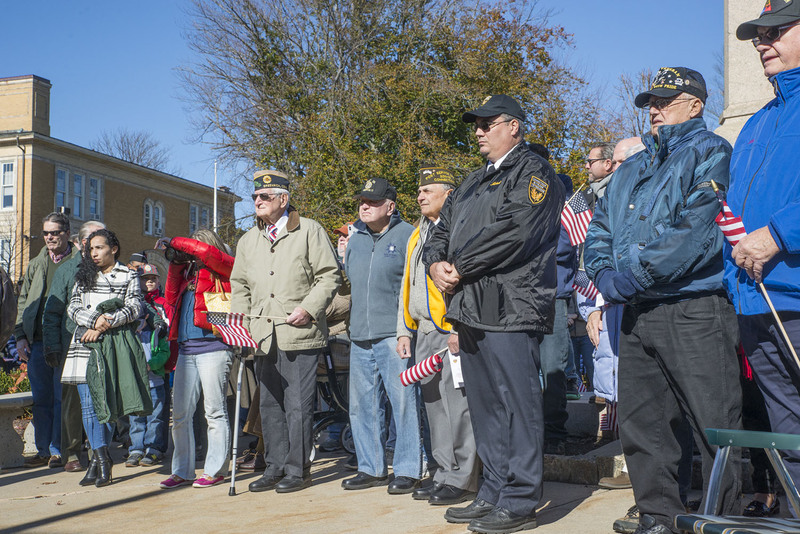 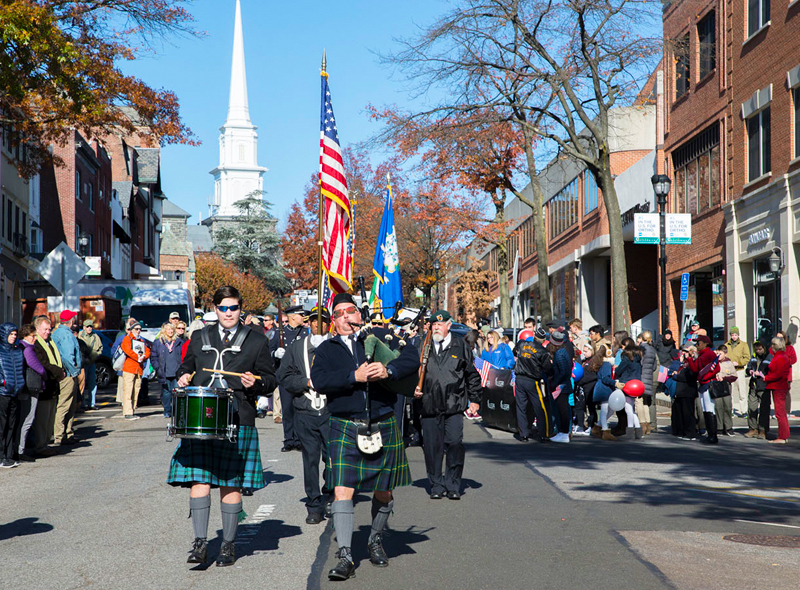 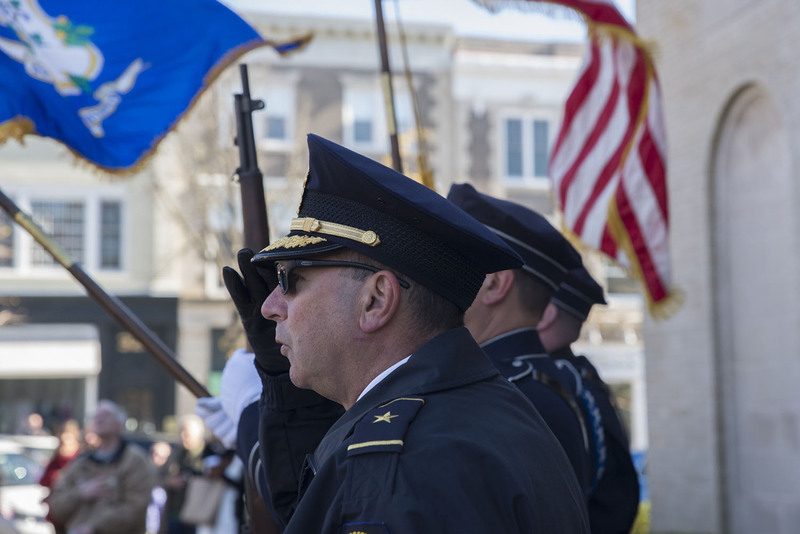 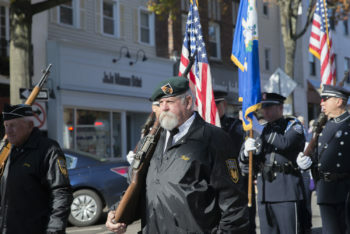 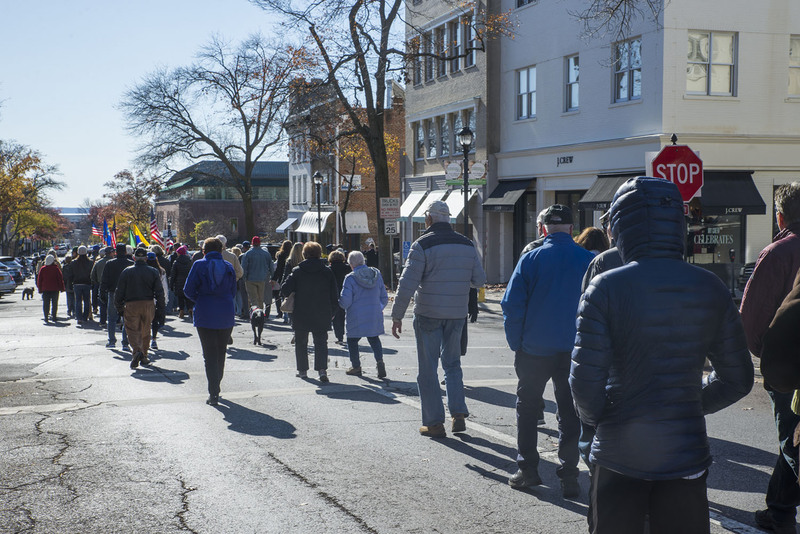 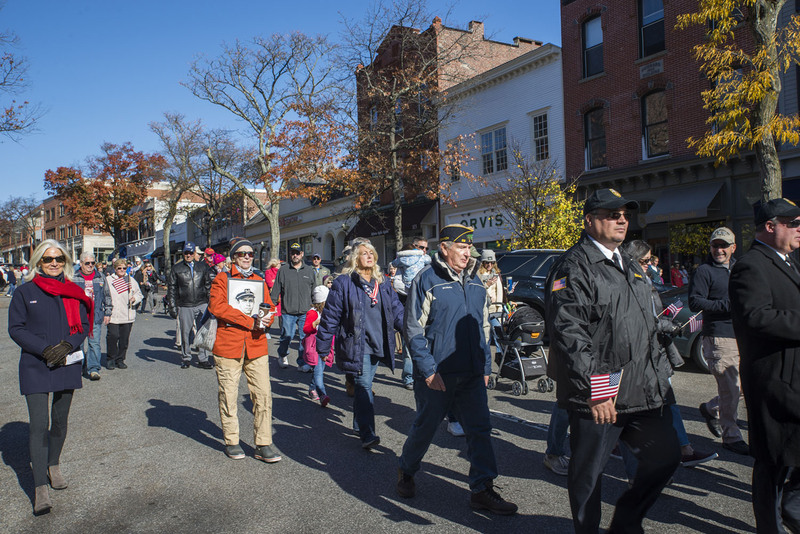 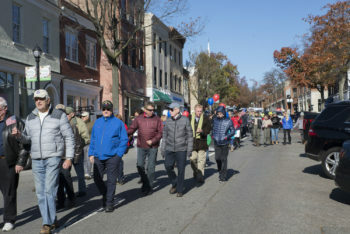 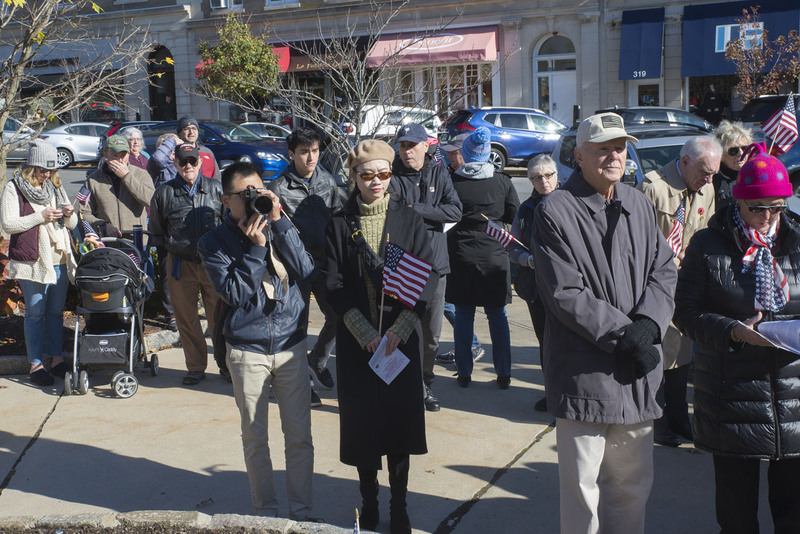 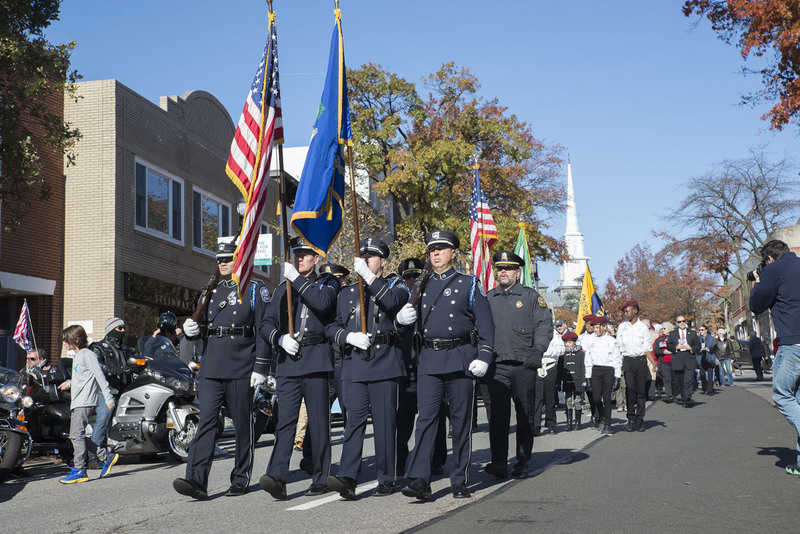 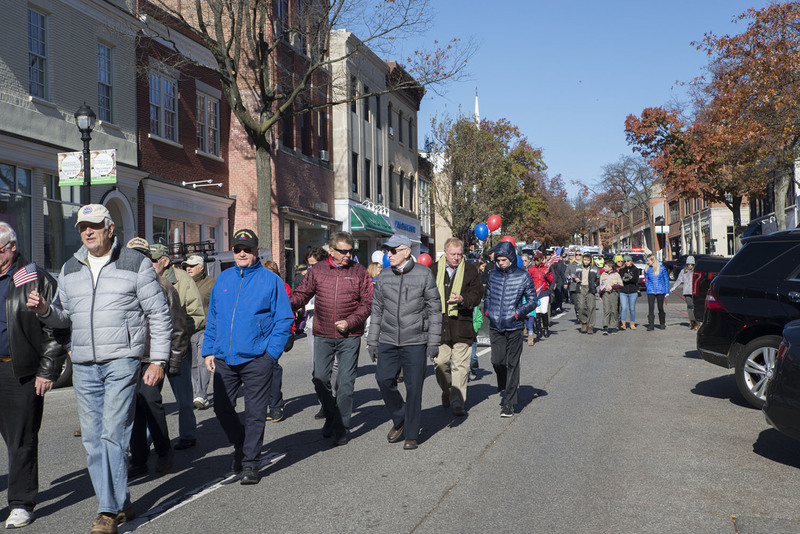 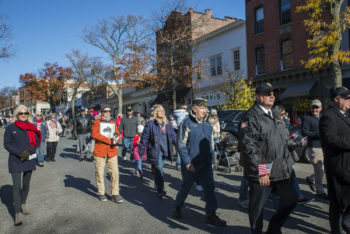 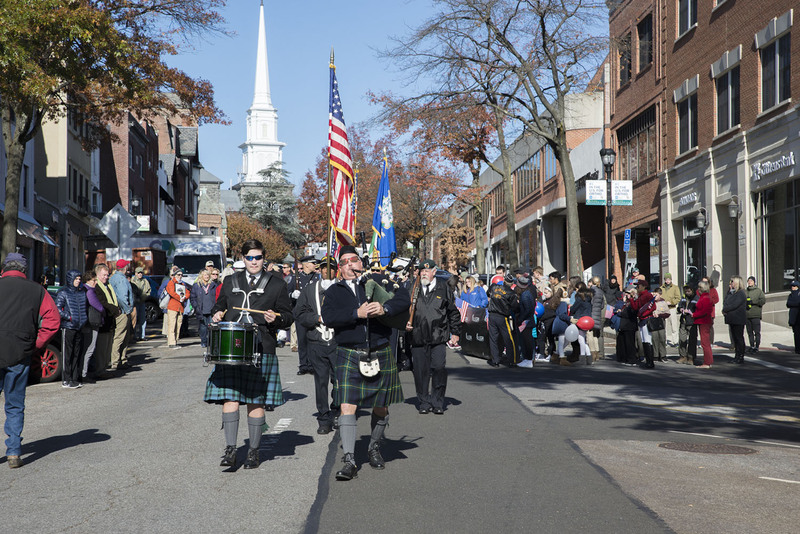 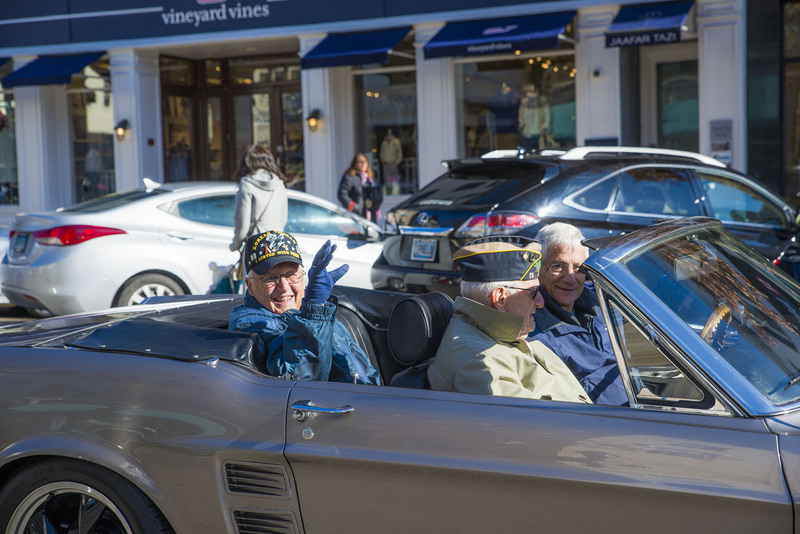 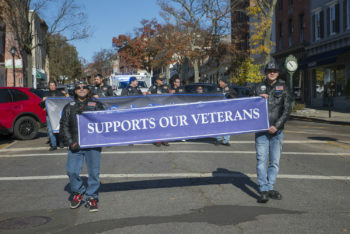 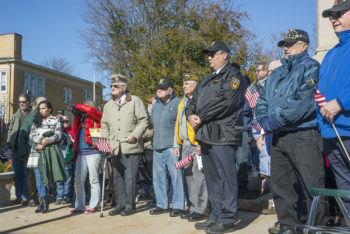 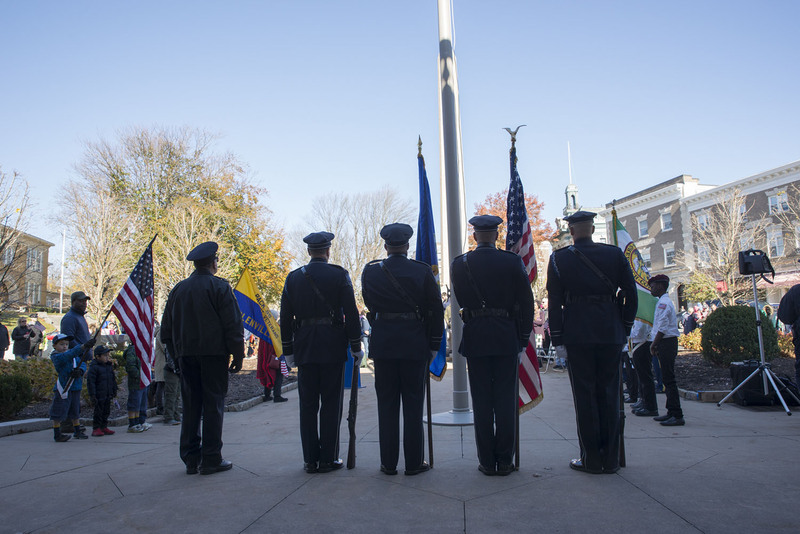 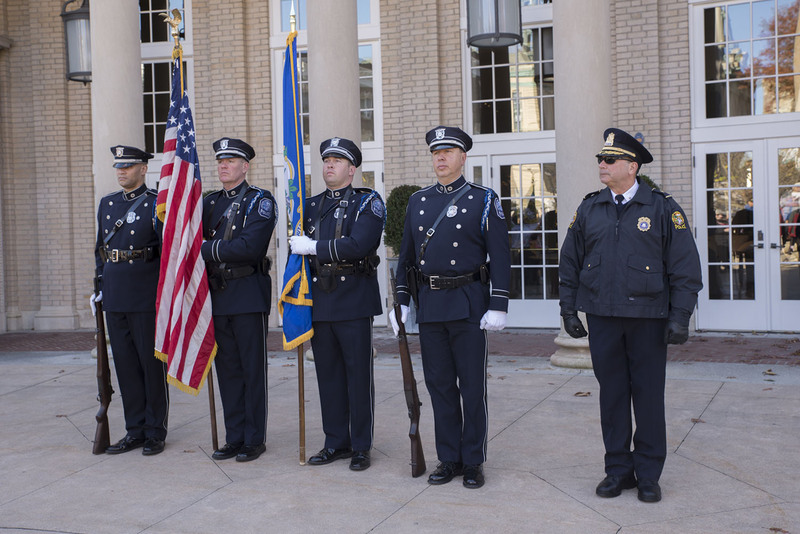 On Sunday, November 11th, 2018, Greenwich Avenue was packed with veterans (plus their family, friends, and supporters) for the annual Greenwich Veteran's Day Ceremony and Community Walk. 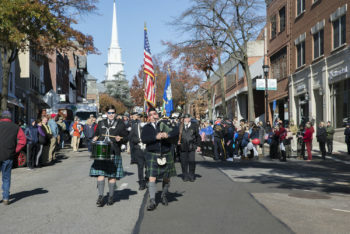 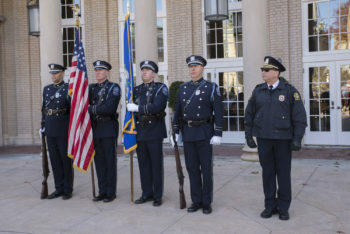 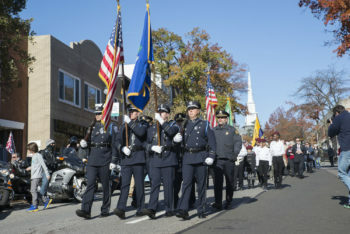 Bagpipers led the procession down Greenwich Avenue towards the World War 1 monument, in front of the Board of Education building at Arch Street, where a ceremony was held by American Legion Post 29 (along with the Greenwich Veterans Council) on the centennial of the war's end. 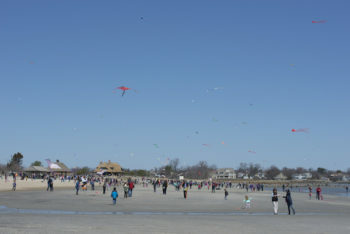 Dignitaries participating in the parade included: State Senator L. Scott Frantz, State Representative Livvy Floren, State Representative Mike Bocchino, and others. 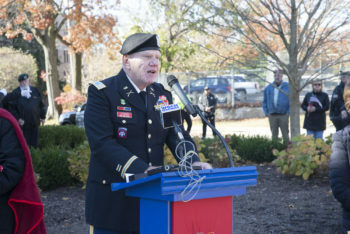 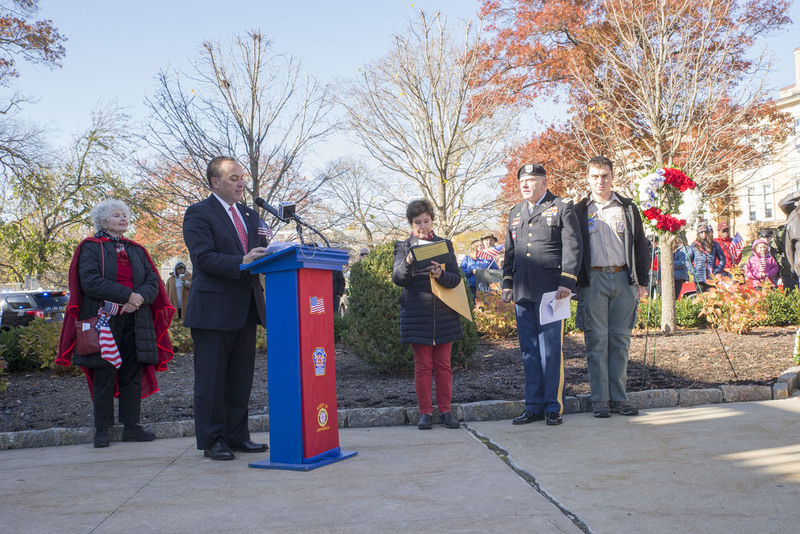 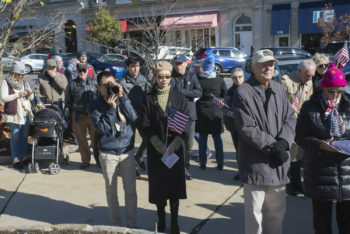 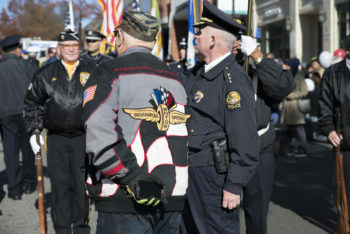 Peter Le Beau, commander of American Legion Post 29, presided over the ceremony where over 200 people assembled under bright sunny skies (and withstood some notably brisk temperatures) to pay meaningful tribute to the contributions and sacrifices of World War I servicemen and servicewomen. “It was 100 years ago this very day that an armistice was signed, putting an end to a horrific, bloody struggle,” stated LeBeau, "The conflict is little remembered today, but the contributions and sacrifices made by Americans who fought in the closing months of the war in 1917 and 1918 should be preserved in public memory... 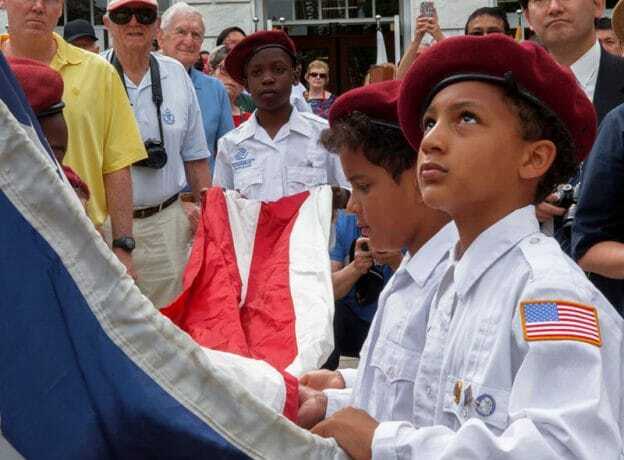 Most of our schoolchildren today know little about World War I. 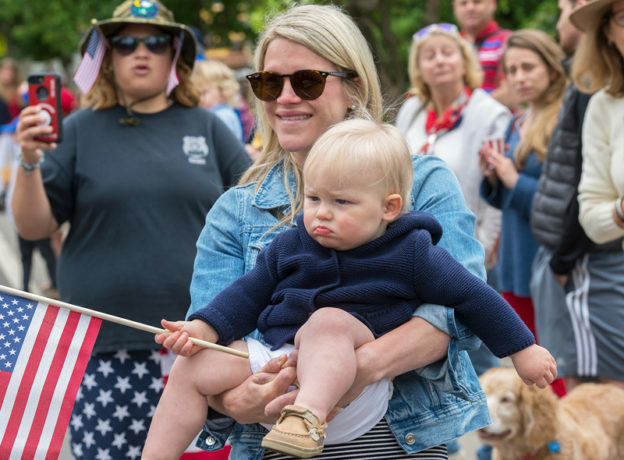 Many history text books make no mention of Vietnam — a war I fought in, and tore our country apart... Do we not owe it to our children to let them know what it cost, the blessings of freedom we enjoy today?" 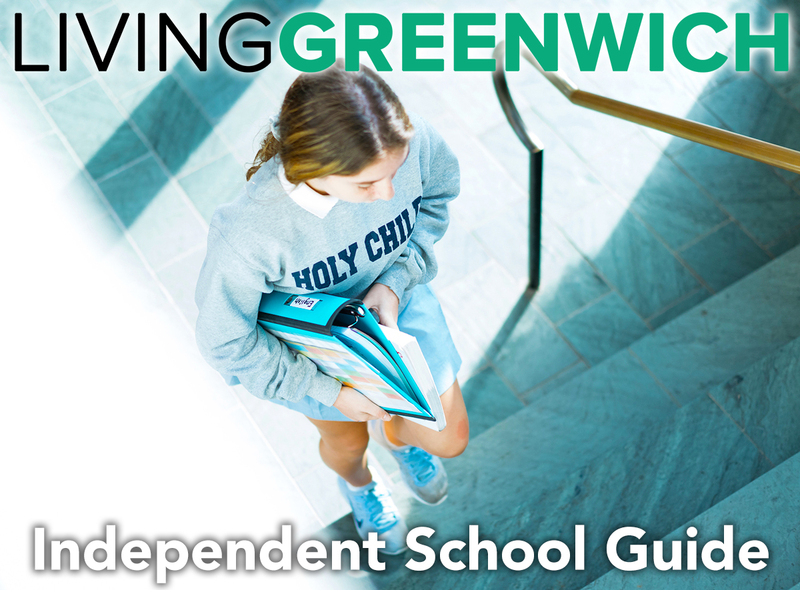 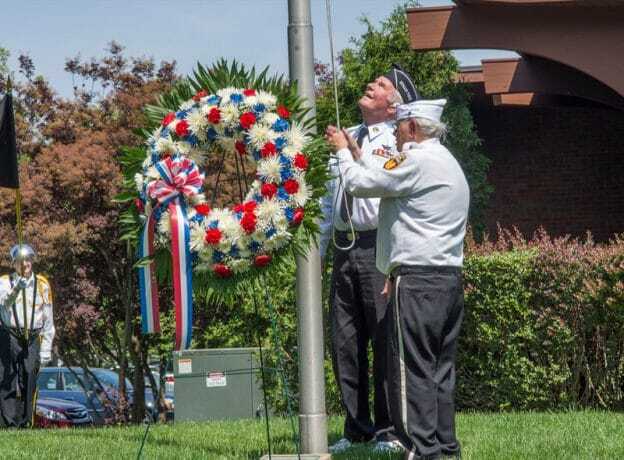 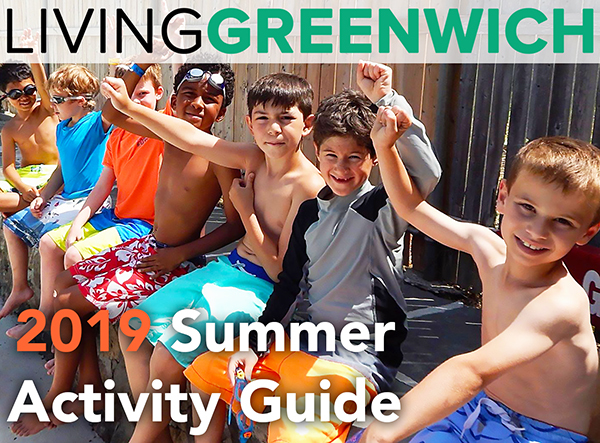 Fourth of July Ceremony Sponsored by the Independence Day Association of Greenwich.